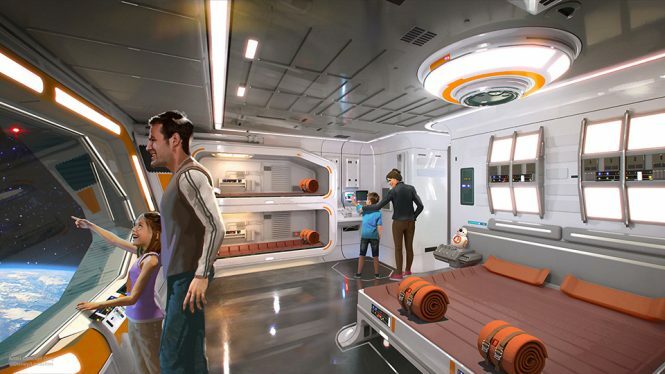 Guests can expect a fully immersive experience where they can become “active citizens of the galaxy”. 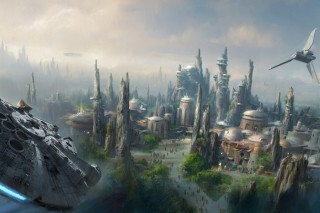 For those who can’t get enough news about Disney’s upcoming Star Wars: Galaxy’s Edge park at Walt Disney World Resort in Orlando, Florida, Disney Parks has just released a teaser video detailing the Star Wars–inspired hotel that’s slated to debut alongside the much-anticipated theme park in 2019. 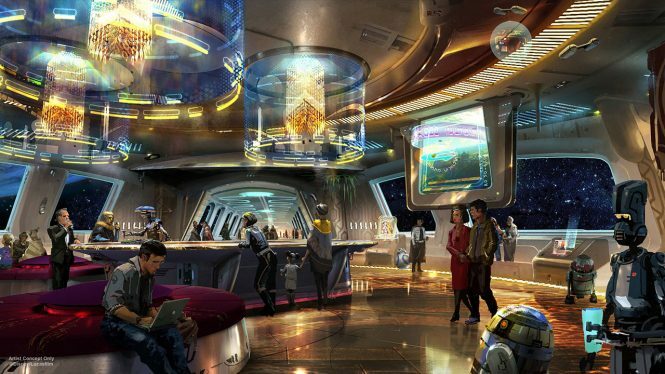 Guests of the 400-room, as-yet-to-be-named property can expect to live out their very own epic space opera from the moment they check in. Think: Dressing up in costumes (Jedi or Sith? 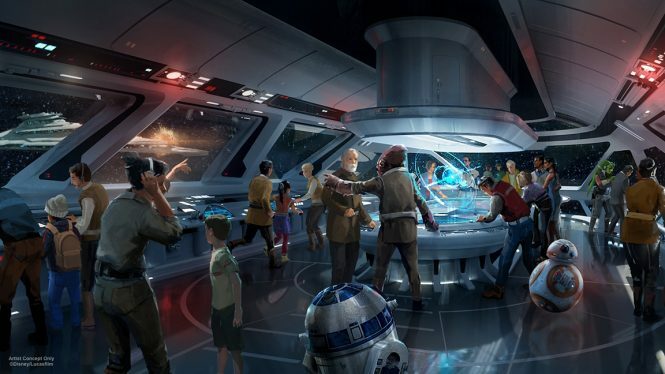 Take your pick), boarding a starship alive with Star Wars characters, and, at the adjacent park, piloting their own Millennium Falcon. Those wishing to bring the experience back home can also treat themselves to unique Star Wars toys at the Toydarian street market. The Toydarian character which was first introduced in Star Wars: The Phantom Menace, will reportedly sell handcrafted toys made by local artisans. Can’t wait to board your very own starship? Check out the video above.